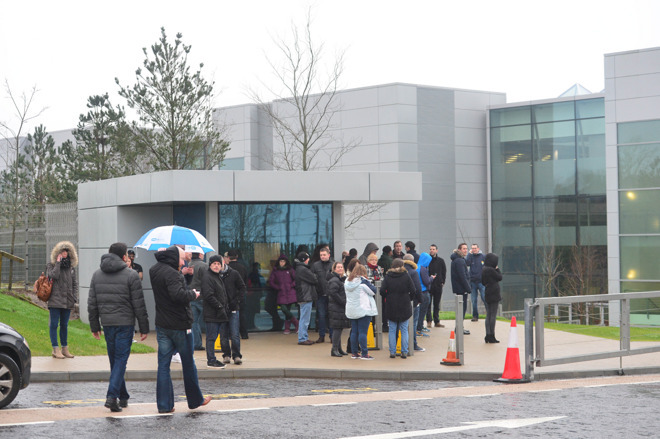 A fake bomb threat was issued for Apple's operations in Ireland on Monday, causing officials to evacuate 4,800 employees before giving the all-clear. The incident affected about 4,000 employees at Apple's plant in Holyhill, as well as another 800 workers at Lavitt's Quay, according to the Irish Times. Officials looked into the matter and did not find any threatening devices. The threat was reportedly issued on the website of Garda Síochána, which is the national police force of the Republic of Ireland. The threat was posted at 8:20 a.m. local time with no specific location cited, and police began evacuating both facilities as a precaution at 10 a.m. The Holyhill campus at Cork, or Corcaigh in Irish Gaelic, is home to Apple's first international base of operations outside the U.S.
Apple has an iMac assembly line at its Cork facilities, which is currently the only Apple-owned factory in the world. Cork-based employees also handle administration for Apple operations in Europe, the Middle East and Africa. Apple plans to expand its presence in Ireland by adding 1,000 new positions for both manufacturing and customer service, it was announced last November.